Hua Hin has become one of the best golfing destinations in South East Asia. Golfers’ can enjoy world class golf courses in Hua Hin with many top-quality golf courses in the area. Green-fees and other costs are currently among the lowest in the world while services and course maintenance are superb. Golf in Hua Hin is a real treat with some excellently design courses, all in good condition and challenges for both the amateur and experienced golfer. 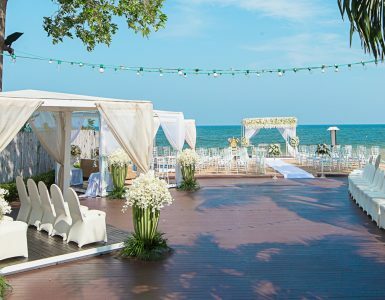 World class golf courses in Hua Hin are all located within 2.5 hrs drive from Bangkok, 20 minutes from Hua Hin downtown and just 10 minutes from the Novotel Hua Hin Cha Am Beach Resort and Spa. One of the most popular Hua Hin golf courses located in close proximity to the hotel is the renowned ‘Black Mountain Golf Club’. Offering a 7,420 yard championship golf course of unrivaled distinction and prestige, the course caters to golfers of all skill levels. Built amongst a pineapple plantation, Banyan Golf Club in Hua Hin opened in October 2008. Royal Hua Hin is the oldest 18-hole international standard course in Thailand. The course is constructed on natural terrain and set between some spectacular rocky hills. Majestic Creek Country Club is a challenging course that was once rated by a German golf magazine as Hua Hin’s best golf course. The Palm Hills Golf Club was the first international standard Hua Hin golf course which opened in 1992. Sea Pine Golf Course is set along the Gulf of Thailand in Suan Son Pradiphat (Sea Pine Tree Garden). The Jack Nicklaus designed Springfield Golf Course is rated as one of the best Hua Hin golf courses and is probably kept in the most stable condition. Milford Hua Hin offers a change from the longer championship courses, with narrow fairways and fantastic sea views being some of the features of this unique layout. 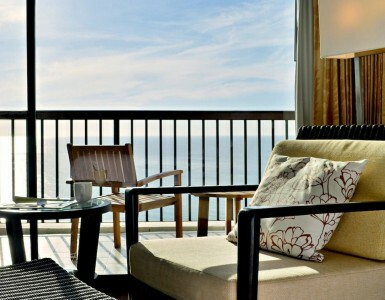 Don’t forget to stay at the Novotel Hua Hin Cha Am Beach Resort & Spa, one of the best Hua Hin Beach Front Resorts.